Hello, and thank you for stopping by from the Ultimate Blog Party! 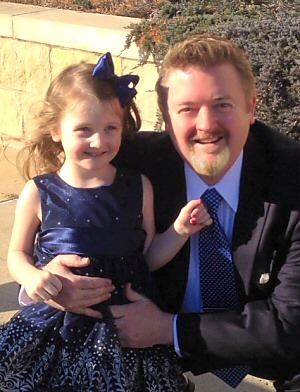 My name is Michael, and I share a home in Dallas with my beautiful bride, and our wonderful 3 year old girl who has me completely wrapped around her little finger. I claim to be moderately literate, adequately well traveled, and am clearly well fed. I try to target parenthood from the father’s perspective, and include a focus the modern dad, social media, technology, entertainment, coffee, cars & cuddles. ツ Though I have an MBA from SMU, I’ve a sneaking suspicion my little girl is far smarter than I am… and I’m certain my wife is. Please leave a quick comment and a link to your blog if you have one. I LOVE finding great new blogs. Also, let me know if you follow me on any of the following sites, and I’ll follow you right back. Thanks so much, and have a great party! Had to support my fellow “Daddy Blogger!” I am a Dad of 3 young boys so it was be fun to see the other side of fatherhood. Thanks for dropping by adaddyblog.com! Great to meet another dad blogger! Love the service you provide. I’ve liked you on Facebook, btw. Do you have a Twitter, Pinterest or Google+ account? Let me know and I’ll follow you there, too! Have a super weekend! This is very interesting blog and for sure, we will be happy to read it. Thanks that you shared. I love this link up.. Good thing you post such valuable information like this. Thanks Charles! Happy to have you drop by. Yay, another Dad-blogger! Not so many of us around here, so it’s good to see us represent. I remember when my little girl was that age. She’s now 13, and the time seems to have just rocketed by. Hey, Geordon. Love your blog. You had me at Happiness is fresh beef jerky. LOL! I love the picture of you and your daughter. As you know, my hubby and I follow you on twitter and your blog as well. When you have time, please feel free to visit my blog and my hubby is in the process of redoing his. Love your Babble posts as well. Hey, Lara. How are you two doing. I know I’ve been a bit scarce of late. The writing gig at Babble.com has been taking a lot of my free time. I promise to be more sociable from here forward. Thanks so much for dropping by! Hey, Michael we meet yet again. I guess we both are just all over the place, this time I spotted your blog party sign on Pintrest, thought I would stop by. Now I am following you on Pintrest as well. I just started a new blog for woman on fitness and health. With 20 years of personal experience I thought it was time to share how woman can benefit from staying healthy. Sorry guys, I’m female, so I only know what the effects on me, a woman, have been. I guess we do get around. 😉 Thanks so much for dropping by. I’ll definitely go check out your “pins” and your new blog! Stopping by from the UBP12. We love checking out “dad blogs”! It’s fun to see the man’s perspective. We’re looking to network with dad bloggers for guest posts so if you are interested let us know! Just came from your site. Love it! I’ll definitely be back. I’m following you on Twitter & Pinterest, and “liked” you on Facebook, btw. Drop me an email about your thoughts about guest posts. Thanks! Hi Ashley. Just came from your blog and also your Facebook page. I was already following you on Twitter, of course. So nice to connect with you via UPB12! Hope you are having a super weekend. I know we’ve already connected on the inter webs, but I thought I’d comment any way! You are still one of my personal favorite bloggers! Thank you so much, Ivy. We do go way back. If Internet years are like Dog years I’ve known you nearly forever? 😉 What a sweet thing to say, btw. Not the part about my wife and darling daughter being smarter than me, though that’s unquestionably true. Have a wonderful day! Hey there! Paying you a visit for the party! I see you’re a Star Wars fan too?! So is my hubby! Your Twitter link isn’t working 🙁 but I did follow you on G+! Hi! Well, all dads of a certain age (just about any age really) like Star Wars… at least the old ones. Not sure why the Twitter link didn’t work. I’m just @adaddyblog, so http://twitter.com/adaddyblog should work. I’m already following you at https://twitter.com/#!/multitestingmom. Have a great evening! Thank you so much, Gail. I’ve been writing online for more than 7 years, but started writing from a dad’s perspective after our little girl was born 3 years ago. Have a wonderful evening! You know, as much as I’ve written over these past nearly 8 years as a blogger, I’ve never been able to journal. I strongly believe in it as a wonderful practice both for creative types as well as anyone who just needs to get things out, and never mean to share it. 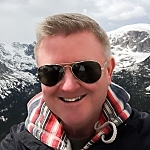 I look forward to reading what your other link ups have to say! Thanks! Thanks you, Julie. She called the dance a “ball”, so I’m guessing she was a princess. Love the photo of you and your girl. Such a precious capture! We’re already following each other on Twitter and Instagram, I’ll have to double check and make sure my new Facebook page is following you. As always, love your Avatar too. Wonderful to see you here, Alissa. Not sure if you caught one of my posts on Babble.com, but it told how I met my wife. You might find it interesting for reasons that will become clear. 🙂 http://blogs.babble.com/dadding/2012/03/08/how-i-met-your-mother/ Hopefully my calendar will be more clear shortly and you’ll see me on Twitter and Instagram more often. Thanks so much for dropping by! I love your site! And that picture of you and your daughter is adorable! Found you through the UBP12 🙂 Blessings to you and your family! Hello, Megan. Thank you so much for stopping by my daddy blog. Thank you for the sweet comment about my daughter and me. She is a cutie, I’m forced to agree. 🙂 Just came from your lovely blog. Glad to have found you, aDaddyBlog. I love your family feet pic. Looking forward to clicking around a bit more. And I add you to my Google plus. Thanks, my wife took that shot of our daughter’s my feet. Shes three years old now, but I don’t have the heart to change the photo. 🙂 I’ve added you to my circle on Google+, too. Hi, Reannah. Thanks so much for tracking me down through your friend. I’m following you on Facebook, Pinterest and Twitter. Funny how my mens fashion fails posts (I’ve written two in the past few years… the most recent for Babble.com) have been one of my most popular. It’s great to find new friends this way. Gotta love the UBP12! Hi Michael -so glad to see some familiar faces this year! I’m glad to come party with you, I know you have coffee! Have fun and party on! Hey, Amy. So lovely of you to drop by. Yes, I do see you on just about every social media platform yet invented. 🙂 Which is just lovely. Hope you are having a super evening! Hello, my name is Grace and I’m blogging from Dubai, United Arab Emirates. Yes, you read that right, I am one of the few blog party goers who’s not from the US or Canada! I’ve been chiming in to this party hosted by 5 Minutes For Mom every year to meet new bloggers and have fun. Hello, Mary or Grace? Happy to have you drop by from Dubai. We get a fair number of visitors from around the world, and are happy to add you to that number. 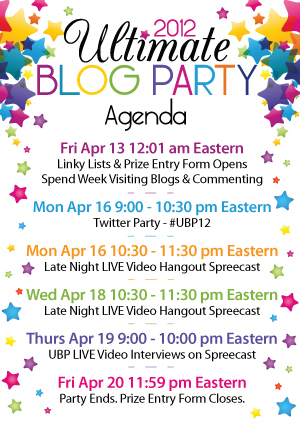 Hope you are enjoying the UBP12! I really like to read daddy blogs, it’s always funny and interesting to get to know the view from the other side! Aw, thanks, Tanya! I still don’t find that many people on Google+. So happy to have you in a circle. Have a lovely day! My gosh, Michael, what a beautiful girl you have!!! All the links you included caused my spam filter to not flag your comment. Got it out of the bin, dusted it off, and here it is. 🙂 Thanks so much for dropping by. Just followed you on Twitter and liked ya on Facebook. Thanks for stopping by from the #UPB12. Have a super day! Just stopping by from UBP. I am the lesser half of our family blog http://www.garagesalesrus.blogspot.com/ and thought I would just connect with all of the Daddy bloggers out there. It’s great to read from a guy’s perspective. We will be following you on facebook, twitter and pinterest! Check us out when you get a chance. Hi, C.J.! Glad you dropped by. Sorry for my delay in responding. I do, of course, follow you on Twitter, and have enjoyed your posts on the blog. What is your URL on Pinterest? I’ll be you have some great boards. Have a wonderful day! Such an adorable little fairy! You must be very proud of her! I must confess, Anna, that I am rather smitten. 🙂 Thank you. Your blog is great! I love hearing the man’s perspective! Very down to earth and funny. 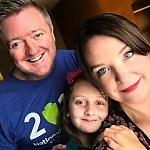 Our family blog is http://www.FamilyToTheFullest.com we would love to connect! Thanks again for putting yourself out there! Hi, Amy! Thanks for stopping by. I’m following you and Jesse on Twitter now, as well as your Fb page. Appreciate the kind thoughts. Hope all is great with you and yours! Hey Michael, I really like the theme of your blog…I mean how many times do we see a “daddy blog”. Cool concept. Thanks, Karan. There are more daddy blogger than people think, but we’re still vastly outnumbered by all of the wonderful mom blogs.